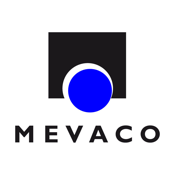 The same content, but only 700 g weight: The MEVACO Catalogue App contains all the information found in the printed catalogue – without additionally weighing you down! Easier access to desired information: You can quickly find what you are looking for due to the links between the content. You can, where required, be redirected to the online shop where you can directly place orders. You will have the answers to all questions on hand in customer meetings – a big advantage for you in terms of being able to optimally advise your customers!